Welcome to the first stop aboard Magical Blogorail Red. Enjoy the ride as we share with you share with you our favorite Disney quotes and how they have inspired us. It's no secret that I admire Walt Disney, and with good reason just look at all that he accomplished in his lifetime. His absolute belief in his ideas - especially Snow White and Disneyland - was instrumental in seeing his groundbreaking projects come to life. This self confidence and unwavering trust in himself and his ideas are what I admire most about Walt. Snow White was called Walt's Folly yet went on to be the highest grossing film of the time until Gone With The Wind surpassed it a couple of years later. 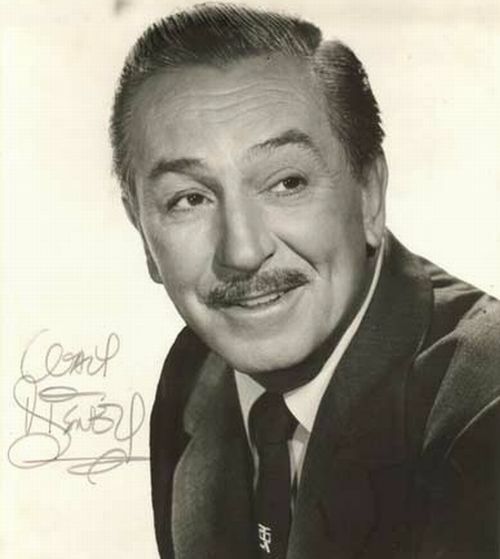 As for Disneyland, it was very difficult for Walt to find funding for an amusement park where cartoon characters would come to life and interact with the guests, and we all know how successful Disneyland is. Walt's quote has inspired me to believe in myself and my ideas, which has never been easy for me. It helped give me the confidence to start Disney Donna Kay, Mentoring Mondays, Disney Party Boards and there just may be something new in the works for 2013. While all of my ideas have not been successful, I am so glad I took a leap of faith and tried. This is wonderful... I'm not that familiar with Walt quotes (shame on me! ), but I know enough to realize what a remarkable human being he was. LOVE that first quote - thanks so much for sharing it! Great quote - love how it inspired you!